I acquired this VT102 terminal in 2006. It is dirty and needs a good cleaning, but it works. 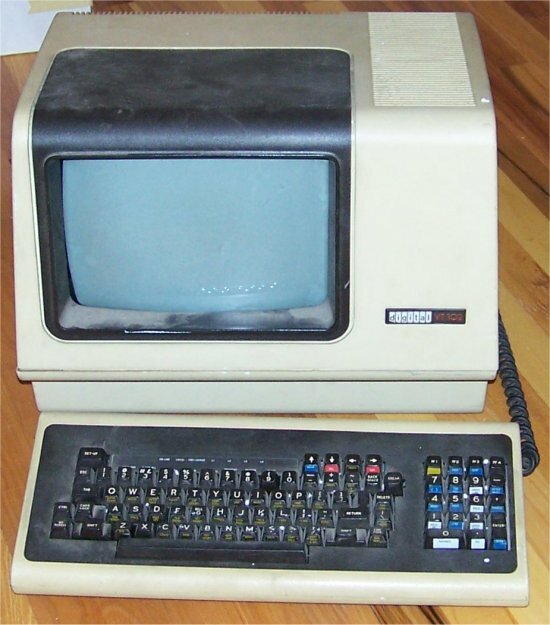 The VT102 is of the same family as the VT100, but has enhanced graphics capabilities.